Growing up, one of the films that we used to watch every Christmas was The Snowman. To me it isn't really Christmas unless I have watched both The Snowman, and The Snowman and the Snow Dog. It's a little traditon that I would like to continue with Elise this year too. 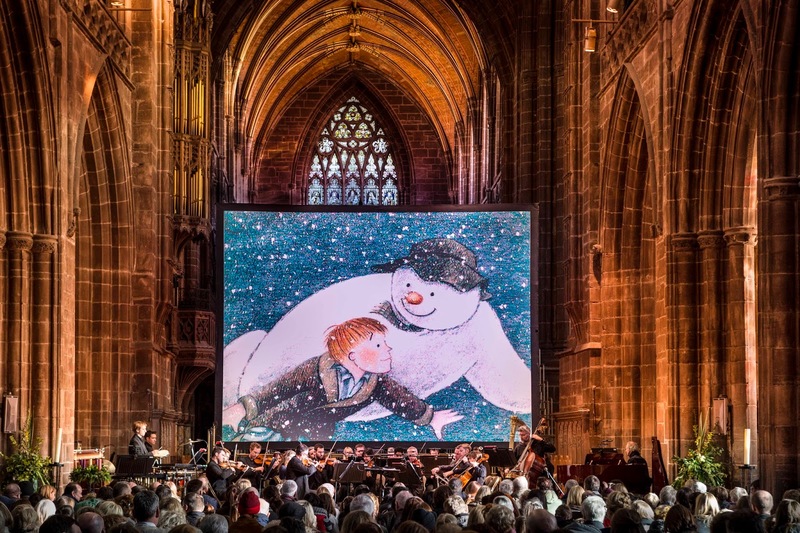 We've been lucky enough to be invited along to watch the iconic film The Snowman at Coventry Cathedral, where a live orchestra will accompany the film. The show is being put on by Carrot Productions and we are very excited about going along and introducing Elise to this amazing film. The Snowman Christmas show is aimed at families, and tickets are selling fast at several key venues across the Midlands and the North, so make sure you purchase your tickets soon. 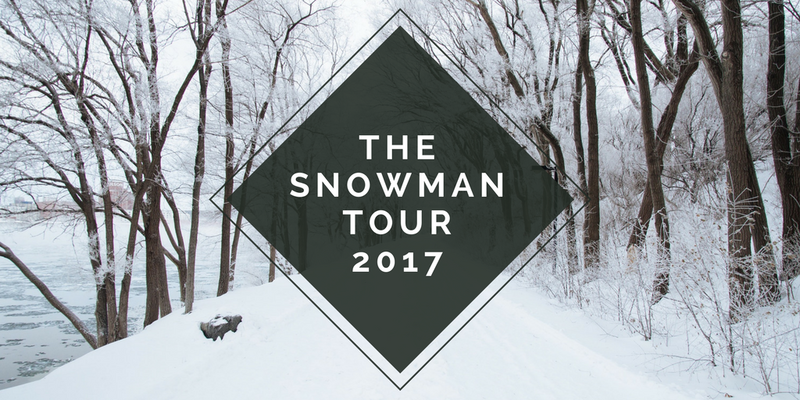 You can purchase your tickets on The Snowman Tour website, and the tour dates can be found here. The tour runs from the 1st to 30th December and has many venues across the county. I would encourage you to book your tickets soon as it is sure to sell out across the country. As well as showing The Snowman alongside a live orchestra, they will also be showing The Bear and the Piano. This is something that I haven't seen so I am very excited about this. 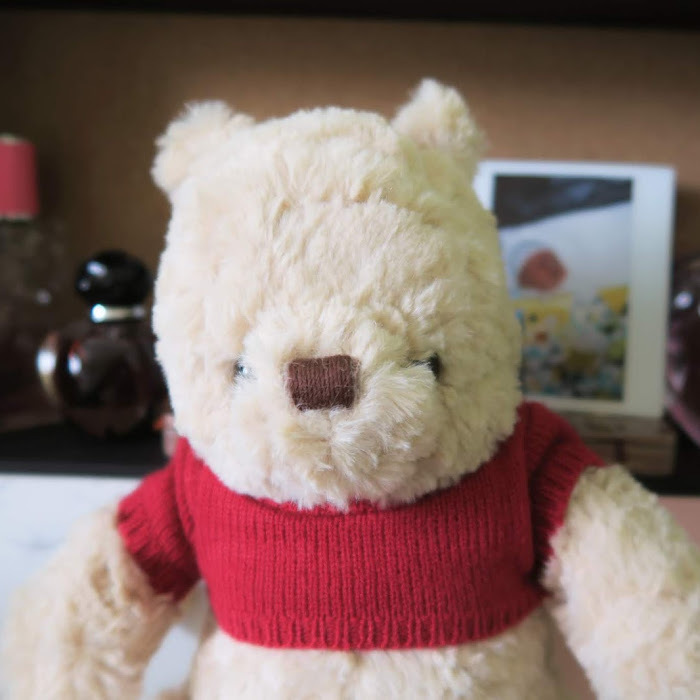 The show is aimed at families, and it is recommended that your children are aged 3+. We are taking Elise along as she loves music and we are pretty confident she will watch the film and enjoy it. The performance lasts an hour so if you think your younger child might be able to last this long then definitely take them along. This is the fifth annual tour by Carrot Productions and these annual shows regular appear in national papers, especially in "Tip things to do at Christmas" lists. This is no surprise as the shows are so magical. I can't wait to hear the live orchestra as I'm a huge fan of live music. There is going to be 46 performances this year so plenty of occasions to go and watch. The shows take place in seven cathedrals - Chester, Coventry, York, Worcester, Lichfield, Liverpool and Durham are among the 15 venues where the production will be taking place. I think the fact that it is taking place in a cathedral will make the whole experience just that little bit more magical. Every performance features a young soloist from the local area who will sing "Walking in the Air", a key song from The Snowman. I think everyone knows this song and it will be hard not to sing along. I don't think I will treat anyone to my off key singing voice though and leave it to the professionals! There will also be a visit from the organisation's very own snowman! For more information about tickets, you can visit the tour date site. We will be attending the 2.30pm showing at Coventry Cathedral on the 9th December so I will write a full review of the performance once we have attended. I feel so lucky that we are going to the showing and maybe it will be a new tradition every year. I'm hoping that Elise will enjoy it too! THIS IS A COLLABORATIVE POST. TICKETS TO THE SNOWMAN SHOW HAVE BEEN PROVIDED. THIS WEBSITE USES AFFILIATE LINKS. FOR MORE INFORMATION, PLEASE READ MY DISCLOSURE POLICY.